Halloween Food Week, a gastronomic event that celebrates the best of the contemporary American cuisine, organized by Sabor USA Argentina, the American Embassy in Argentina and the Association of Hotels, Restaurants, and Coffee shops, will be held during Halloween Week, from Saturday October 28th through Saturday November 4th, 2017. A selected group of restaurants will offer menus at special prices representing the typical dishes of the USA. 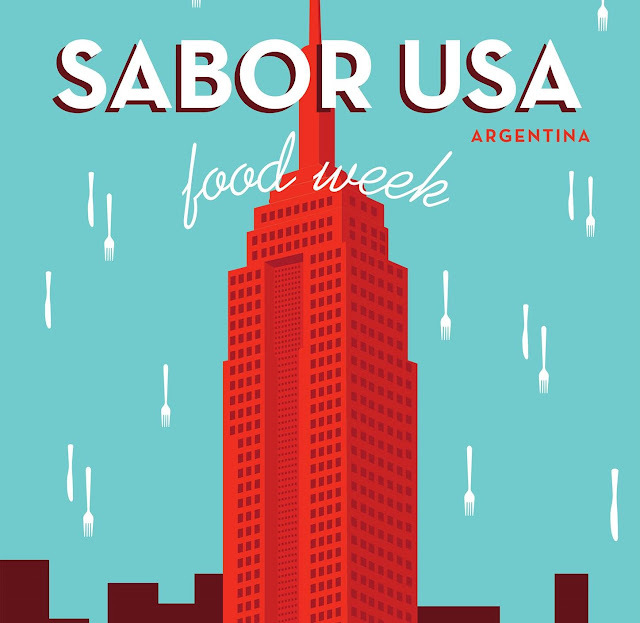 American and Argentine chefs will offer the opportunity to enjoy classics like smoked ribs, hamburguers, cheddar and bacon pizza, chicken wings, tacos, cheese cake and hot pancakes, and much more! Menu 1: Caesar Salad + Pork ribs with coleslaw + passion fruit cheesecake + Patagonia Beer, $350. BBQ Ribs with coleslaw & spice potatoes + Apple pie with ice cream + soda, water or Schneider Beer pint $ 470. Manhattan Cheese and Bacon Burger (double burger, double cheddar, egg) with fried + DTM Banana Split + soda, flavored water, mineral water, or Schneider Beer pint, $360. Almacén de Pizzas - Cerviño 3732, Palermo // Vedia 3620, Saavedra // Av. Federico Lacroze 1802, Belgrano // French 2301, Recoleta // Av. Pueyrredón 2501, Buenos Aires Design, Recoleta. Three tacos broiled meat,cilantro, red onion, and lemon + Patagonia beer, $160. Salad with avocado + cherries + mix of greens + cheese + egg and Caesar dressing + cheesecake, $170. Fiera Parrilla Urbana - Av. Pedro Goyena 300 // Monroe 1599, Belgrano. Ribs with barbecue sauce + potatoes with cheddar & bacon, $275 (no drinks). Baltimore wings, potatoes with cheddar + Manhattan, $250. Cadillac BA - Av. Congreso 1931, Belgrano. Cadillac Burger + Pint, $200.